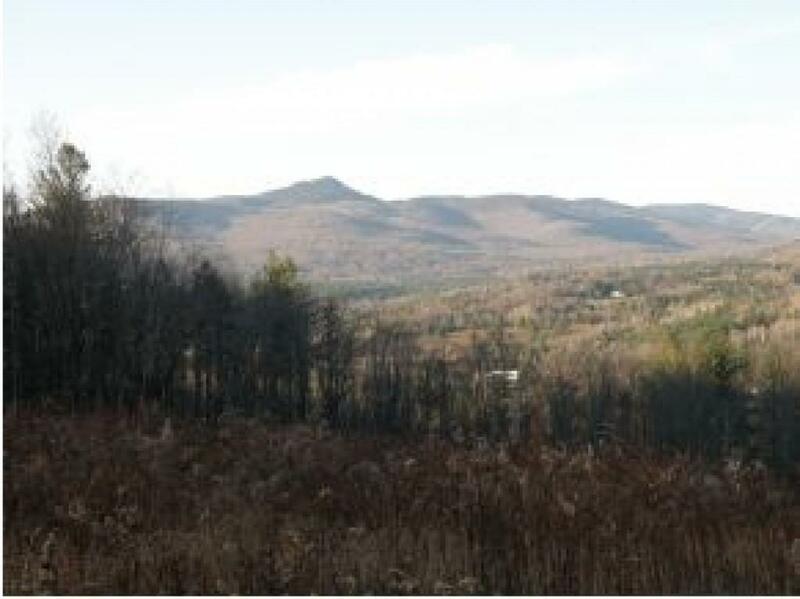 Truly a one of a kind property with fantastic views of Haystack and the valley below. Located on one of the most beautiful town paved road in Wilmington with lovely year round, valley residents and neighbors. The property will offer total seclusion and privacy down a long driveway that leads to the house site. The lots has been cleared to the view and the driveway and a five (5) bedroom septic have been installed. The survey done by Guy Hawkins indicates that there is a spring in the northwest corner of the property. The septic was installed prior to changes in the permit process and the septic system will have to be permitted. Courtesy of Ginny Read of Read Realty Ltd.